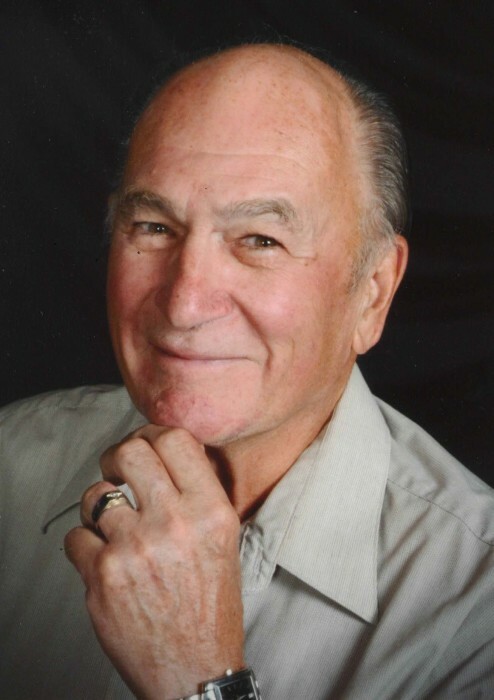 WASHINGTON ~ Wallace T. “Wally” Anderson, 81, of rural Metamora passed away Sunday, March 23, 2019 in Harlingen, TX. He was born on September 22, 1937 in Peoria, the son of Wallace T. and Mary Lavin Anderson. He married Carolyn Zipper on September 29, 1956 in Peoria. Surviving are his wife, their children Kevin Anderson of Naples, FL and Kirk (Debi) Anderson of Tremont, IL. Also surviving are five grandchildren Jacy Anderson, Jake Anderson, Kate (Ryan) Sauder, Kyle (Maggie) Anderson and Kelly Anderson. One brother Tim (Becky) Anderson of Bartonville, IL. Preceding him in death were his parents, one daughter Kathy Geber and one granddaughter Brynne Anderson. Wally attended pipefitters trade school from 1957 until 1961. He then attended Purdue University from 1968 until 1970. Wally worked for Steamfitters Local #353 retiring in 1994 and was recently recognized as a 60 year member. He was a past president of Steamfitters Union Local #353 from 1982-1991. Wally was a past instructor for the Steamfitters apprentice program and served on the finance, health and welfare committees. Wally was an avid duck hunter and a member of Ducks Unlimited from 1971 until his passing. He was past chairman of the Tazewell County Chapter of Duck’s Unlimited and was a diamond life sponsor. He also enjoyed fishing and was a conservationist for wildlife. He also loved a good game of golf. Wally was a member of Our Savior Lutheran Church in Washington. Funeral Services will be noon Saturday, March 30, 2019 at Our Savior Lutheran Church, 1209 Kingsbury Rd in Washington. Pastor Tom Heren will officiate. Visitation will be from 9:00 a.m. until 11:45 a.m. also at the church. After his funeral service, burial will be at Glendale Cemetery in Washington. A funeral luncheon will follow the burial at Our Savior Lutheran Church and all friends and family are welcome. In lieu of flowers, memorials in his name may be given to the Myotonic Dystrophy Foundation, 1004 O’Reilly Ave. San Francisco, CA 94129. To share a memory or send a condolence for his family visit www.masonfuneralhomes.com.